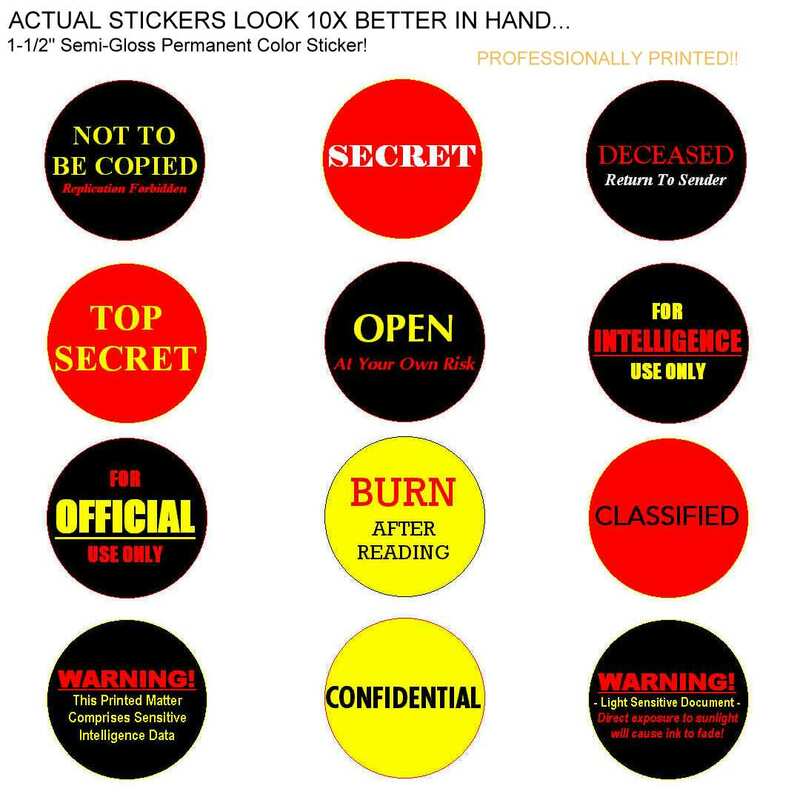 CLASSIFIED or OPEN AT YOUR OWN RISK sticker is a Hilarious Gag!!!!. RECIPIENT WILL WONDER WHAT THE HELL IS UP!! Permanent 1.4" Semi-Gloss COLOR Stickers... Professsionally Printed!